It’s quite amazing in some ways that in 2017 the big block engine is still being developed and improved and this is just the case with the new Chevy block from World Products. The Merlin IV is a shiny, new V8 and has improvements across the board for that bit more increase in performance. 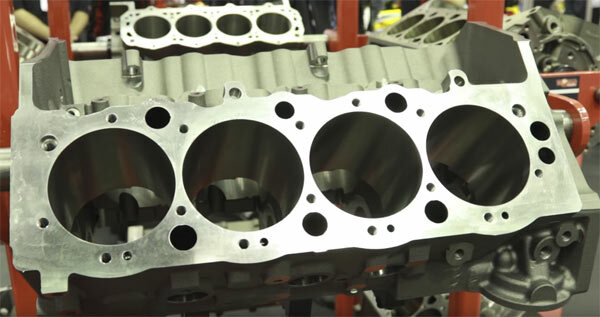 The Chevy block features ‘35,000 psi iron, improved oiling, added material in critical areas for strength, improved cylinder head clamping’ along with ‘9.500, 9.850 and 10.250-inch deck heights allow for additional flexibilty in piston/rod combinations.’ This video explains the ins and outs of the new block from its developers and why the new big block will give you the edge in competition. It will be interesting to see when some of these are used in a race and how well they will fare. Just check out the video below.